MOSCOW, March 2. /TASS/. Gazprom expects revenue from gas exports to grow to $35 bln in 2017 against $30 bln last year, according to Deputy Chairman of Gazprom Management Committee Alexander Medvedev. "At the end you always want to talk about positive figures: in 2016, we have received more than $30 bln of foreign exchange earnings, and there are opportunities for this figure to increase in 2017 to at least $35 bln," he said. It was reported earlier that Gazprom has set a new historical record of gas exports to non-CIS countries in January 2017 when it delivered 19.1 billion cubic meters of gas to consumers, 26% more than in January 2016. Largest importers of Russian gas showed significant growth, in particular, Germany - by 23.2%, Italy - by 48.2%, France - by 68.1%, Austria - by 123.5%, according to the company. Earlier the company’s board chairman Viktor Zubkov said that 2017 gas supplies to non-CIS countries may be higher than last year’s though this depends on a variety of factors. Particularly, Gazprom gas exports to non-CIS countries surged 23.7% (or 2.7 bln cubic meters) on January 1-23, 2017 to 14.1 bln cubic meters. In 2016, Russia’s top gas producer increased gas supplies to non-CIS countries by 12.5% compared with 2015 to all-time high of over 179.3 bln cubic meters. Particularly, the company’s gas supplies to Britain amounted to 17.8 bln cubic meters (up 59.9%), France - 11.5 bln cubic meters (up 18.1%), to Poland - 11.1 bln cubic meters (up 24.2%), to Austria - 6.1 bln cubic meters (up 37.9%), to Holland - 4.2 bln cubic meters (up 77.1%), to Denmark - 1.7 bln cubic meters (up 156.2%). Russia’s gas supplies to Italy went up 1.1% in 2016 compared with 2015 to 24.7 bln cubic meters, to Bulgaria - by 2.1% to 3.18 bln cubic meters, Greece - by 35% to 2.68 bln cubic meters, Serbia - by 4.3% to 1.75 bln cubic meters, Romania - by 740% to 1.48 bln cubic meters, Croatia - by 54.8% to 0.76 bln cubic meters, Macedonia - by 56.5% to 0.21 bln cubic meters. 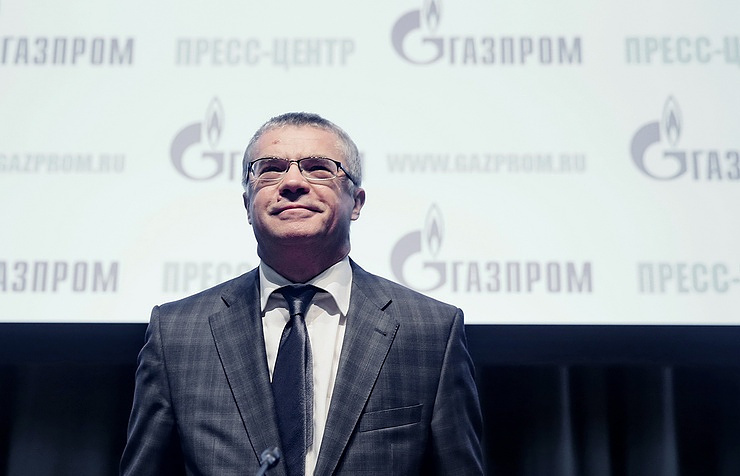 Gazprom might sell gas to the British BP without mediators such as Rosneft, Medvedev said. "BP did not address us, if they do, we will consider this opportunity. In order to sell gas to BP, we do not need mediators," Medvedev said. Medvedev noted that the option of independent gas supplies from Rosneft to BP is absolutely unrealistic "for a very simple reason: all the capacities of Nord Stream and Nord Stream - 2 gas pipelines are reserved for deliveries under existing contracts between Gazprom and its Western customers". "Therefore, there are no capacity for additional supplies of Rosneft. We know the situation in the UK market, leading companies turn to us with questions about the possibility of buying additional volumes. Lately BP did not address us recently, although it has in the past," Medvedev said. BP Senior Economist in Russia Vladimir Drebentsov told journalists earlier that the memorandum signed last year between BP and Rosneft anticipates supplies of 7-20 bln cubic meters of gas per year if the Russian oil company has such an opportunity,. "If Rosneft obtains an opportunity to sell gas to Europe, our traders will participate in sales of such volumes with pleasure. [Supply] of 7 bln cubic meters to the European market is meant. A specific structure of transactions may vary; this is a matter for the future. This is for the case if Rosneft is able to bring this gas. We are not going to deal with gas export from Russia," Drebentsov said at the time. BP is ready to sell Rosneft’s gas in Europe, he said. "This is interesting for our traders, because Russian gas is competitive by price characteristics. Certainly, everything we are doing in Rosneft should facilitate growth of shareholder value and revenues of shareholders," Drebentsov added. RBC newspaper reported earlier Rosneft was negotiating a long-term export contract for gas deliveries via Germany with BP. Gazprom does not currently consider it necessary to revise the price of gas supplies to China regarding the future gas pipeline Power of Siberia, Medvedev said. "As for the price issue, if deliveries began tomorrow, then, under the current formula, neither we nor the Chinese side would not want to revise. We see how the price changes. I am completely honest when I say that we see no reason for revising prices and we see that neither do our Chinese colleagues," he said. In turn, Member of Gazprom Management Committee Oleg Aksyutin noted that at first deliveries via the Eastern route will begin with the volume of 5 bln cubic meters per year, and then in a few years will grow to the level of the planned 38 bln cubic meters. Earlier, Head of Gazprom Alexey Miller said that the contract for the supply of Russian gas to China via the pipeline Power of Siberia came into force in May 2015, the period of gas supply ranged from 4 to 6 years after the contract comes into legal force. Accordingly, gas deliveries to China may start the period from May 2019 on May 2021. Gazprom investments in the Power of Siberia pipeline in 2017 increased to 158.811 billion rubles ($2.7 bln) from 76.162 billion rubles ($1.3 bln).